If you’re regaining weight your first step is to call Dr. Yadegar for an appointment. It is important for him to determine if the weight gain is due to an anatomical issue, a medical condition, or a behavioral matter. A food and exercise journal can assist Dr. Yadegar in this determination. Many patients utilize calorie-counting and fitness apps for their food journals. Most apps and on-line services allow for data to be exported to an excel file. Click here for more information on food and fitness apps. Log the time and exactly what you eat for each meal and snack. Log your level of hunger on the 10 – 1 scale. Click here for the Hunger Scale. 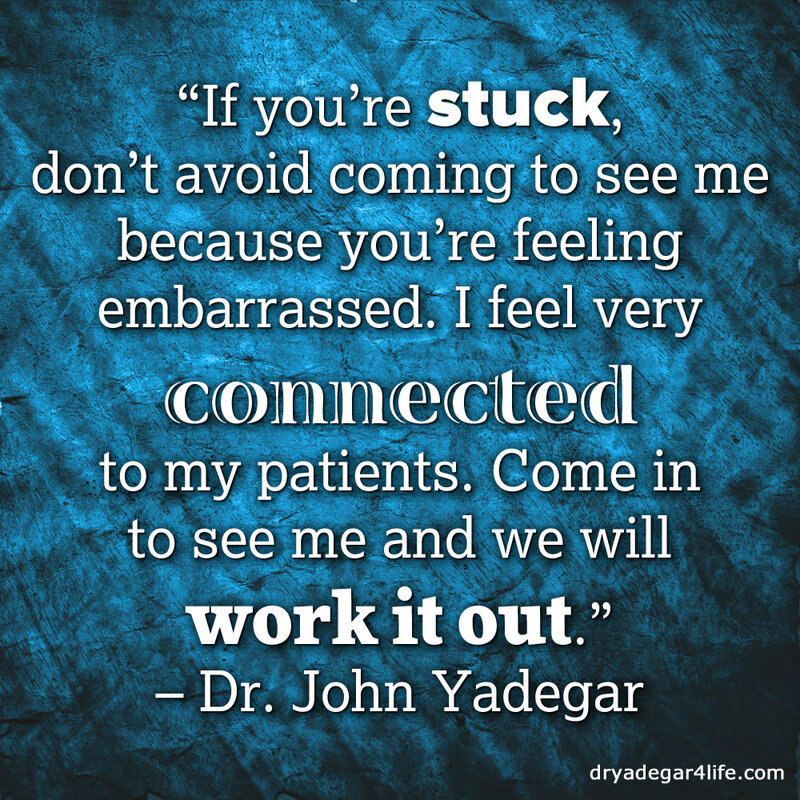 It is also important to tell Dr. Yadegar if you are having any stomach pain, heartburn, or reflux. Be specific with the dates and times of occurrences. Tell him if you’re taking new medicine or if any doses have changed with your current medications. Tell him how much sleep you’re getting each night and if you’re having and difficulties sleeping. Click here for more information on Sleep. Let him know if there are situations in your personal or work life that have been causing you stress. Very often, stressful life situations can take patients off-track. With help and education, most patients can get back on track and remain successful. These videos are helpful tools for managing life successfully after weight loss surgery. Dr. Yadegar answers questions about managing cravings, dealing with regain, measuring progress, and why exercise is critical to long-term success. Liz Roark, RN, discusses accountability and getting back on track in these support group recaps. Dr. Yadegar and Liz Roark, RN join forces at this support group and talk with patients about managing plateaus, eating out, fatigue, stress and relationships. Successful patient, RYAN, shares his story and explains how he reached his goal weight and maintains it.